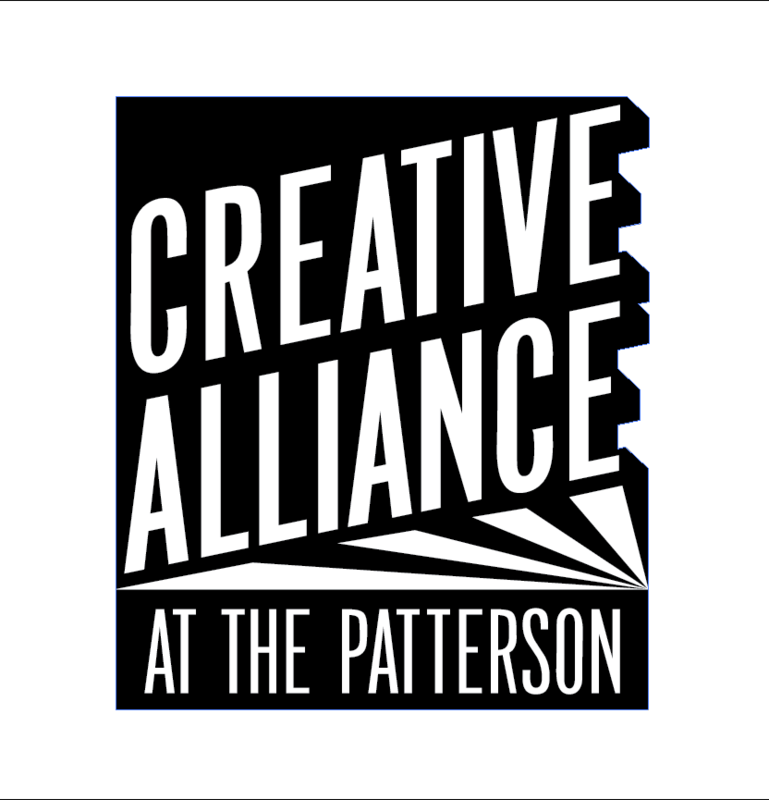 Logo, print identity and publication design for a community based non-profit organization that presents and promotes the arts and humanities. 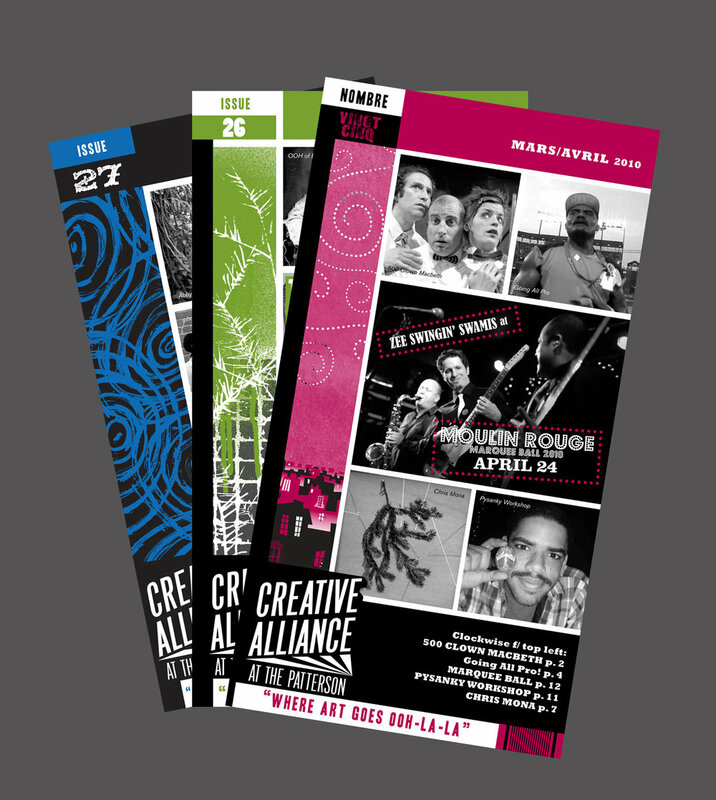 The catalog highlights coming events, films, performances and workshops held at their Baltimore, MD headquarters. 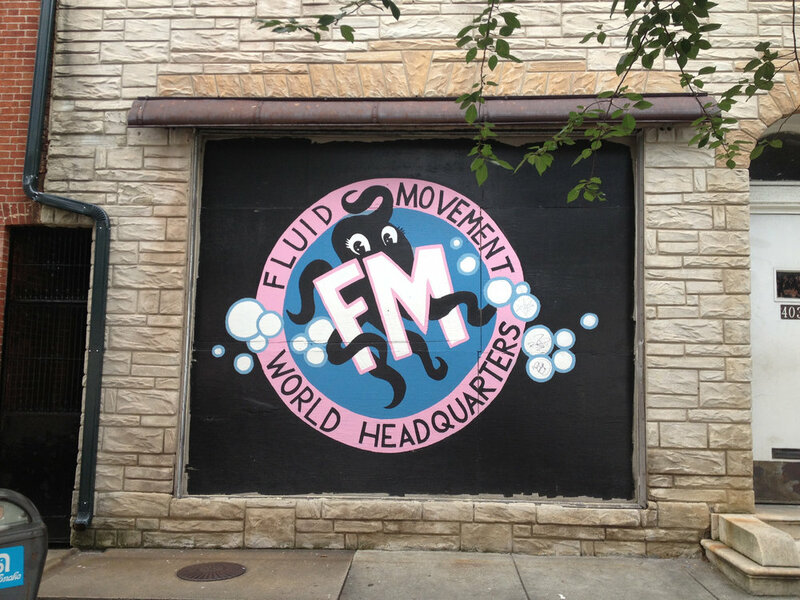 Identity, bumper sticker and mural for Fluid Movement, a Baltimore-based performance art group that juxtaposes complex subject matter with delightful and unexpected mediums and creates art that is accessible, and often educational, for audiences of all ages and backgrounds. 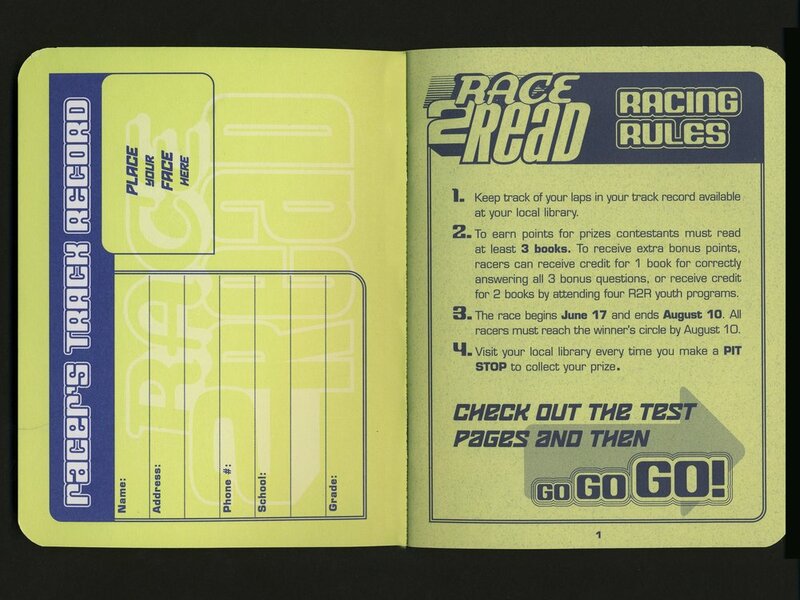 Materials for Race 2 Read, the Enoch Pratt Free Library's Summer youth literacy program. 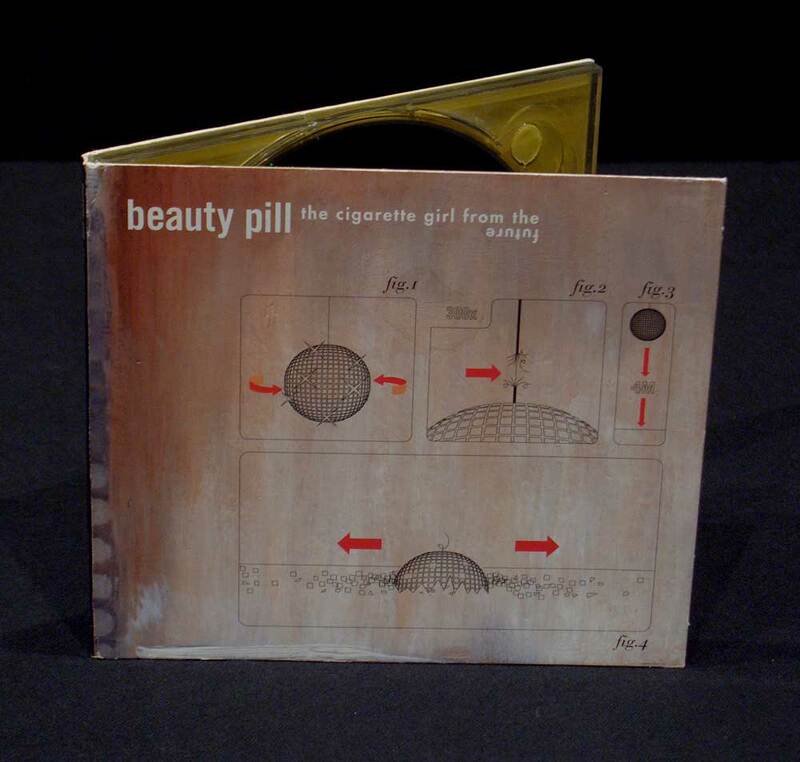 Packaging for the debut EP release from the Washington DC based band band Beauty Pill, The Cigarette Girl From the Future. 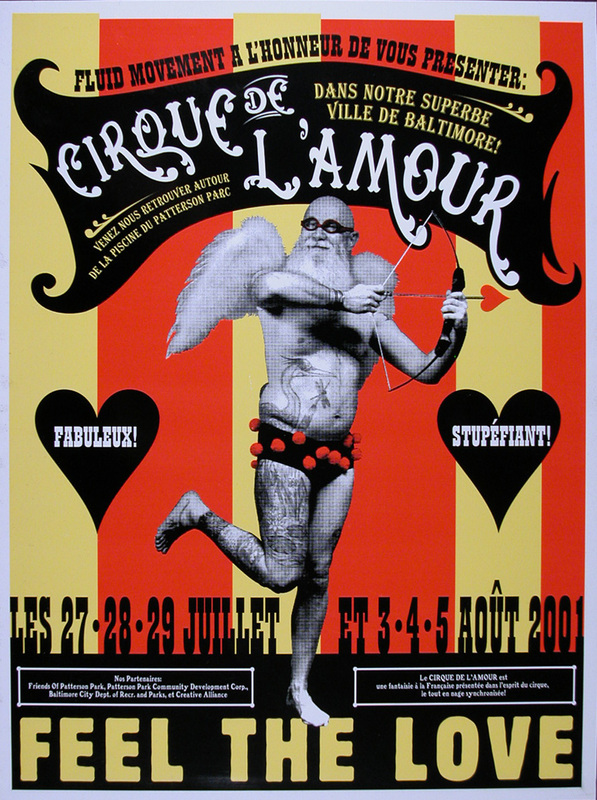 Signage for the Shoe and Chocolate boutique Ma Petite Shoe in Hampden, Baltimore. 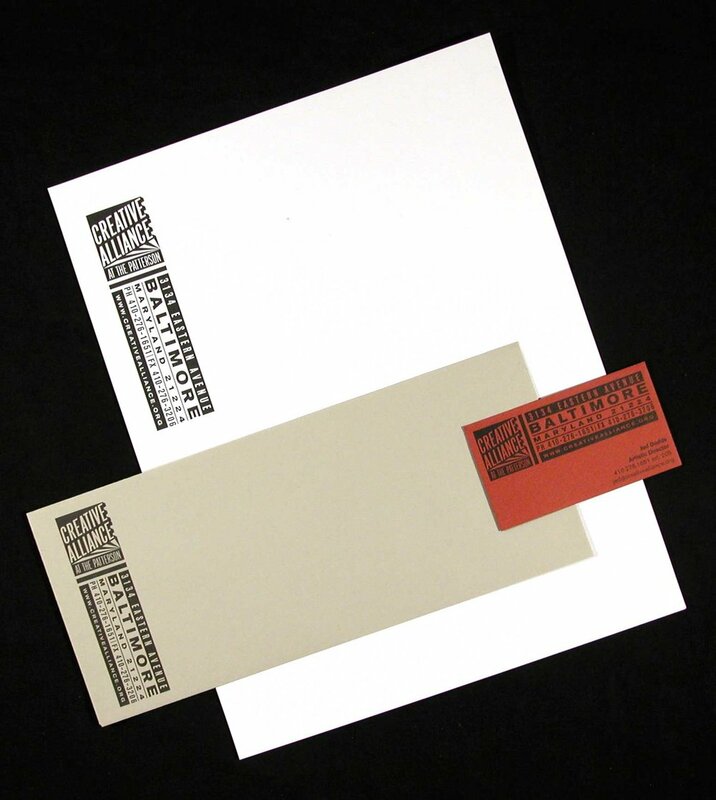 Promotional poster and mailers for the Department of Visual Arts at University of Maryland, Baltimore County. Graphic treatment for programming at the former Palace of Wonders bar and venue in Washington, DC.